10:00 Aula – Walk to Porceleyne Fles ( 10 min). 10:15 Visit Porceleyne Fles (Royal Delft Pottery). The Royal Dutch Delftware Manufactory “De Koninklijke Porceleyne Fles/Royal Delft” established in 1653, is the last remaining Delftware factory from the 17th century. Here, the world renowned Royal Delftware is still entirely hand painted according to centuries-old tradition. 11:15 Boat tour Delft. The historically important city of Delft is best discovered and contemplated from its centuries-old canals. For almost 50 years the canal cruiser boats of Rondvaart Delft have been sailing people along its canals, historic landmarks and centuries-old arched bridges. 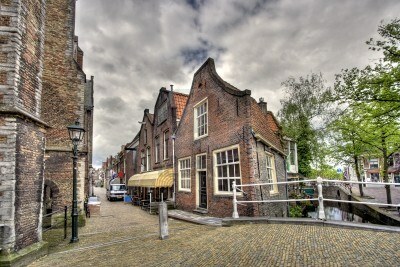 13:30 Guided tour Delft. “Delft, our city, our common history” Guild Delft organizes historical walks in the mainly car-free part of the city. It looks at, inter alia, the creation of the city, the House of Orange, the Old and the New Church (outside of buildings), Hugo Grotius, Antoni van Leeuwenhoek and Vermeer. 11:00 to 11:30 Coffee and Pastry 1st Class – Experience the grandeur of the past Grand Café Restaurant 1eKlas Amsterdam. A unique monumental catering events venue at Central Station in Amsterdam. 11:30 to 12:30 Boat tour Amsterdam – During this cruise you will sail through the charming town with its famous sights to offer our historic city as the Seven Arches Bruges Canal, the Skinny Bridge over the Amstel, the VOC ship and the port. Our special audio system ensures that you will get to know Amsterdam in a completely original way! 15:30 to 17:00 pm Guided tour Rijksmuseum.